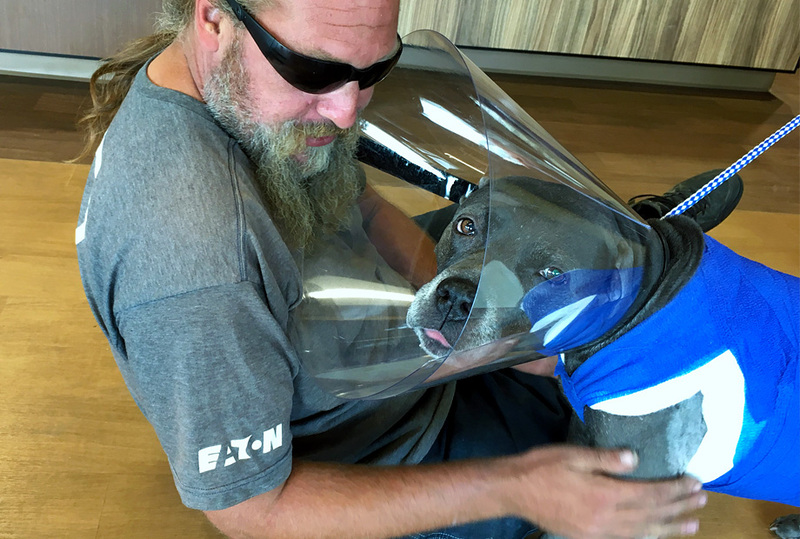 Since Kahlua and her human are homeless, this sweet pup has never seen a vet. 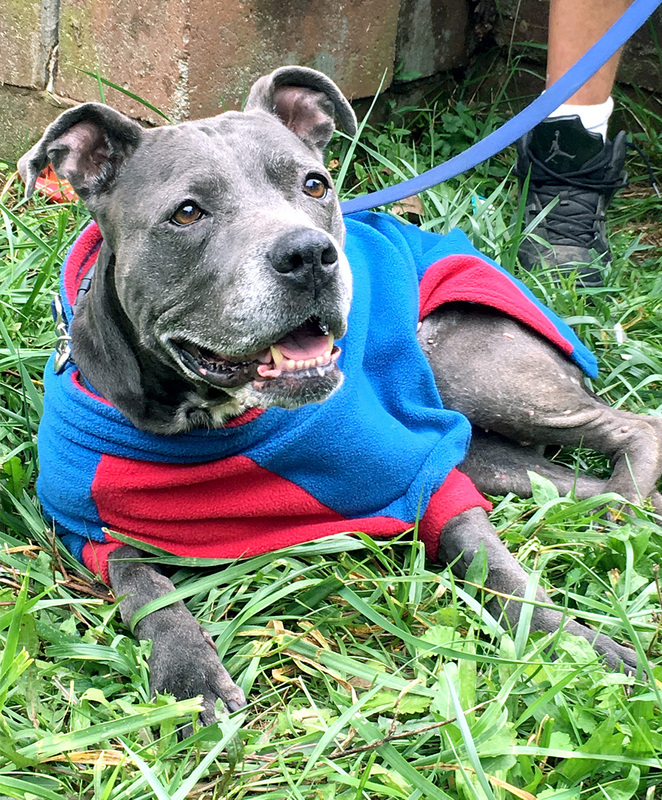 ERDF enabled the removal of several large mammary tumors, healing of systemic infection and reversal of severe anemia so that they could continue to share their love. I’m so glad we could work together. Kahlua and Hairball mean everything to each other. Homeless people are just like everyone else. Their animals are really family for them. Without the help of Ellie’s Rainy Day Fund he would have lost her. 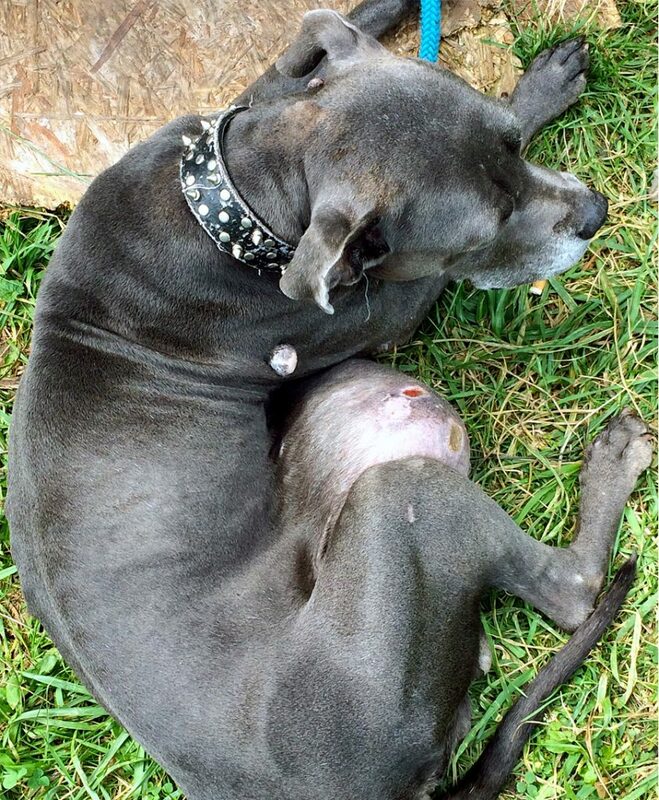 When I saw the photo that a local deputy dog warden sent of an 11 year old pit bull with a mammary tumor the size of a basketball hanging from her chest, I knew we had to help! 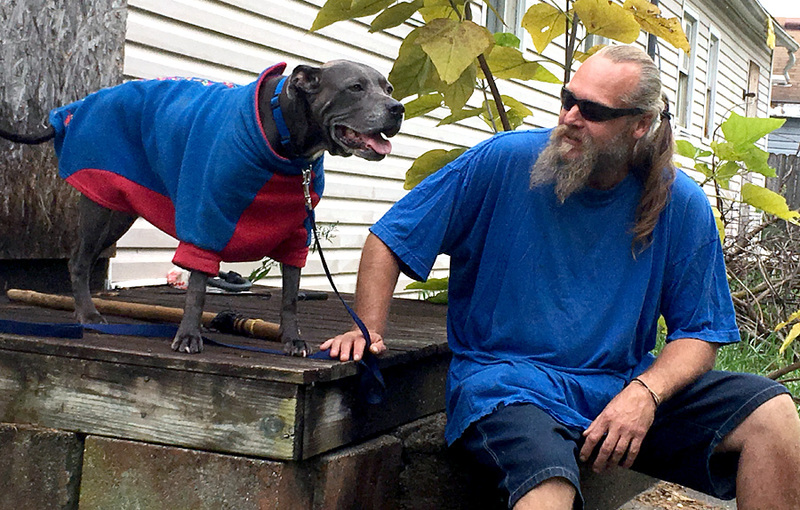 Kahlua and her human Dad have been homeless since an accident created health costs that caused her Dad to lose his apartment. That also meant he had no money to take her to a vet to get that and several other tumors looked at. 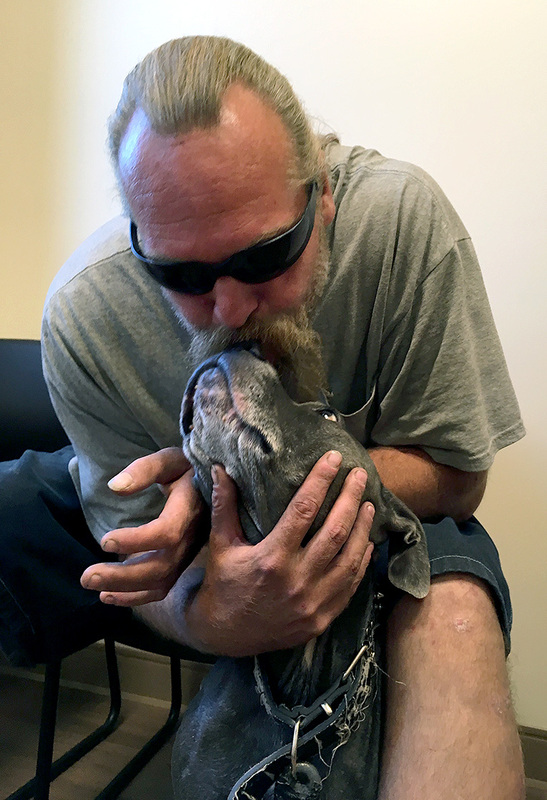 Kahlua is now a senior dog, but she and her Dad have been together since she was just a pup. He bought her from a friend at 5 months old to make sure she didn’t end up in a fighting ring. 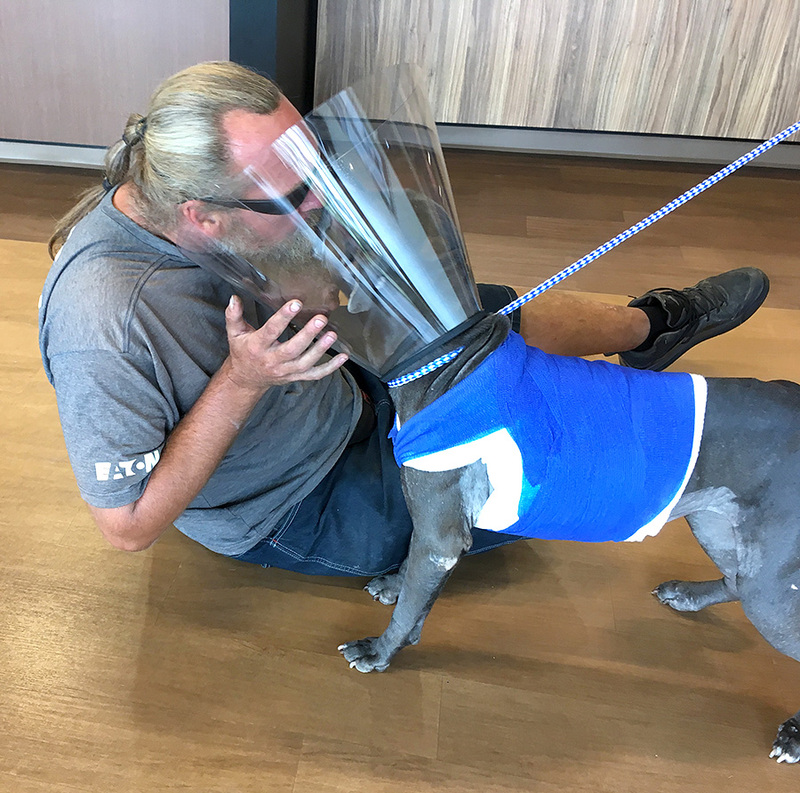 When we met for the surgery consult, he was cooing in her ear to keep her relaxed—she’d never been in a vet facility before. We went outside for a short walk and he proudly showed me how Kahlua had learned to walk herself. He offered her the rope and she walked right next to him with her rope in her own mouth. 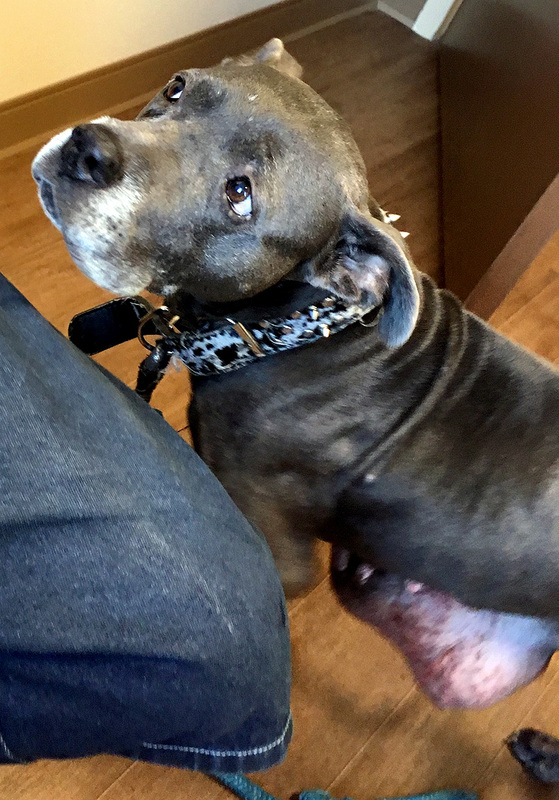 I fell in love with this gentle girl, who got up and walked over to each new professional that entered the exam room, leaning against each as she wagged her tail. 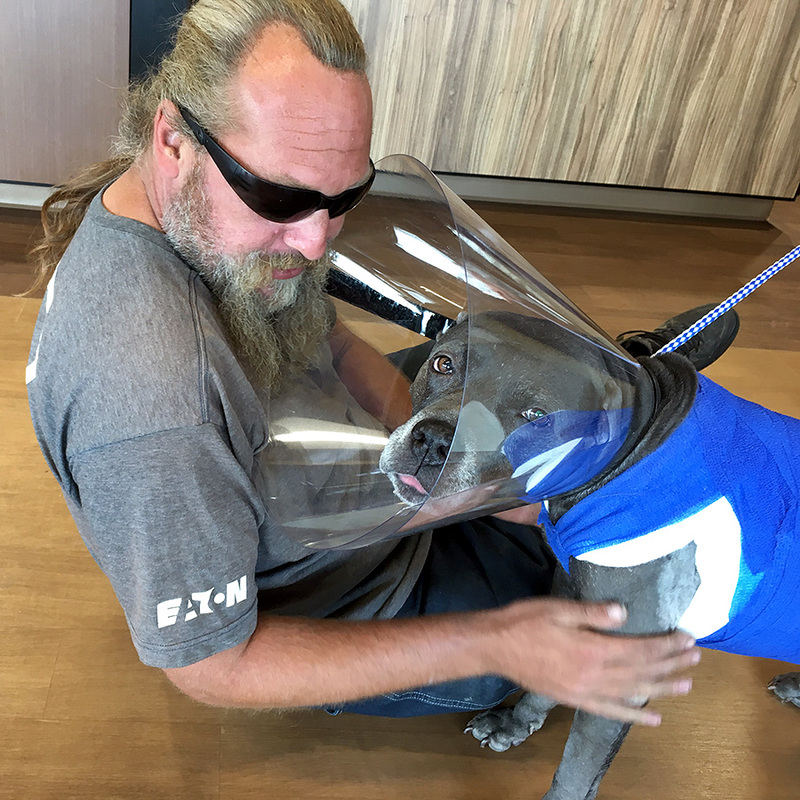 It was decided that if Kahlua’s blood work, abdominal ultrasound, and chest x-rays were passable, the surgeon would remove all of her mammary tissue on both sides—the equivalent in a human of a double mastectomy. 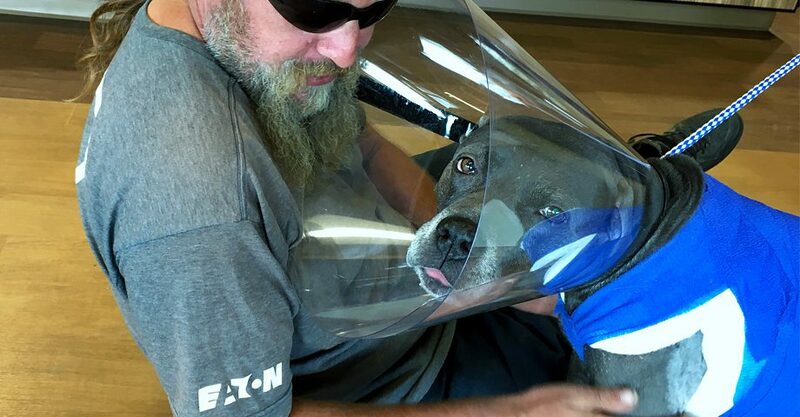 As it turned out, her surgery required the removal of her spleen and all of her breast tissue (including a tumor weighing 15 pounds) to alleviate severe infection and anemia. 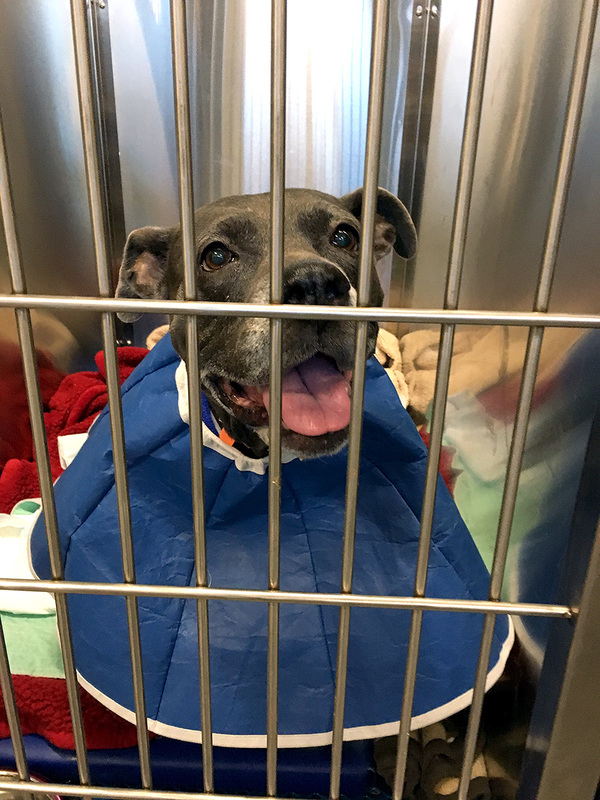 I feel very honored to have worked with a caring Deputy Dog Warden, a dedicated SPCA volunteer, and a compassionate and skilled surgeon, all of whom respected the deep bond of this sweet pup and her person, and were committed to keeping this family together. Click on any image to view Kahlua's slideshow.